North Berkeley above The Arlington and steps way from charming Kensington Village. And Maryland Walk, too, to answer the call of Solano Avenue shops. 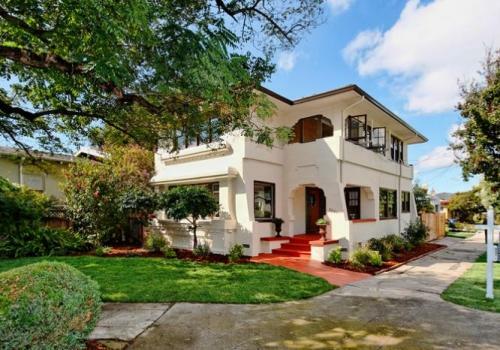 This majestic 1929 Tudor-styled home has character and detail that is so appealing to today’s families in search of their sense of place and future. Begin with the magnificent three bridge view, the City, Marin, Angel Island, and, of course, the Golden Gate straight away at the front door. With its generously proportioned rooms, period moldings, newly redone hardwood floors, and multiple views from all levels, this home is ready for a new generation to make it their home. Ron Reece, Realtor with Caldecott Properties represents the seller. Christophe Rat, Realtor® with Caldecott Properties represented the Buyers. 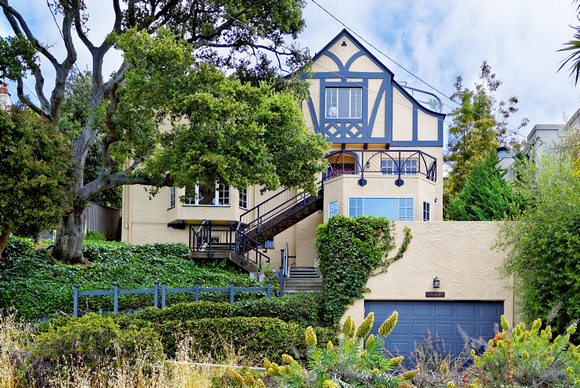 Extraordinary architecture & artistry, sweeping views of the Bay, SF, Marin, Oakland cityscape & Claremont Canyon. 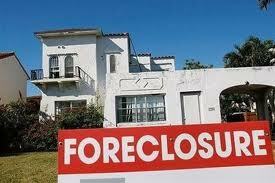 Beginning in 2007, foreclosures rocked the real estate world. Like an out-of-control freight train, they began decimating the market, peaking in 2009. Myths and rumors began propagating like mushrooms as consumers struggled to understand the new reality. Although many misconceptions have come and gone, we still encounter five myths on a regular basis. 1. There is going to be a flood of new foreclosures to the market. This rumor has appeared every year since 2008 and has been routinely debunked. However, recent announcements that the Feds reached a settlement over the robo-signing scandal have reignited speculation. The idea is simple: Since the cork is now out of the foreclosure bottle, we’ll soon see another flood of REOs inundating the marketplace. My personal opinion: don’t hold your breath. Banks have learned that if they control inventory, they can affect local prices. By releasing homes in measured amounts, they realize higher prices than if they released a glut of homes. In addition, they’ve learned that if they can mitigate their losses by agreeing to a short sale, everyone wins. 2. You can go directly to a bank to buy a foreclosure. Every few weeks I’m asked how to buy foreclosures direct from a bank. Someone knows a friend being foreclosed on and they want to step in and grab the house before it hits the market. Don’t we all? In reality, banks have a simple system – they first offer properties on the courthouse steps. The rest they assign to asset mangers who then hire local real estate agents to put them on the market along with all the other homes. Want an REO? Pay cash at the courthouse steps or get in line witheveryone else when they hit the local MLS (Multiple Listing Service). 3. 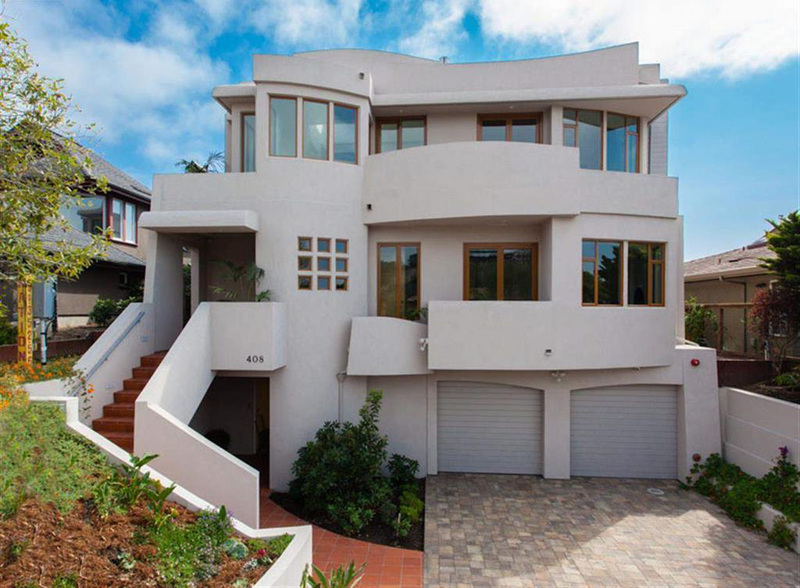 You can get a killer deal by submitting lowball offers on foreclosures. You would think this myth would be dead by now. Unfortunately, like Elvis sightings, it just won’t go away. Here’s the truth: Banks want REOs sold in 30 days or less, so they typically appear on the market priced slightly under comparable properties. If the property doesn’t sell quickly, the bank will lower the price after about 30 days. Lowball offers are ignored and are, quite frankly, a waste of everyone’s time and effort. You might get a deal by offering a lower price on a foreclosure that’s been sitting on the market for more than 90 days, but remember that there are good reasons it’s gone unsold for so long. And even if you have cash, your lowball offer won’t be accepted —seriously. 4. You can’t use foreclosures when doing an appraisal. Or short sales, for that matter. That is no longer true. In fact, in many neighborhoods, that’s all that’s there. Therefore, foreclosed or distressed sales represent the actual value of homes in the area and HAVE to be used to appraise other properties. Don’t like it? Get over it. Times have changed and the ways neighborhoods are valued have changed as well. 5. Foreclosures are only affecting the bottom end of the market. This used to be true. However, while foreclosure rates on the lower end of the market have actually decreased,they’re actually increasing on the upper end. According to Daren Blomquist, vice president of RealtyTrac, the market share of foreclosed homes under $1 million is shrinking, but those among properties valued over $1 million are rising – up 115% since 2007. And foreclosures on properties valued upwards of $2 million have increased by 273%. While some well-known jet-setters have melted down and lost everything, others are choosing to strategically default. They see it like liquidating a poorly performing portfolio – they have enough resources to cut their losses and move on. Historically, banks have been reticent to foreclose high-end homes and absorb a large loss, but defaulters are now forcing their hands and mansion foreclosure rates are moving on up. Myths control behavior, and this has never been truer than in the housing market. Savvy agents will work hard to educate their clients, debunk myths, explain market trends, educate with solid facts – and actually close transactions.